I’m astonished and embarrassed at the lack of interest I’ve encountered in the preservation of Louisiana blues, an enlightened music. The blues was born here in Louisiana, before subsequently inspiring the world. Freedom of expression is an American virtue; it is also the very essence of the blues, America’s music. As a blues artist from Louisiana, it is incumbent upon me to organize a campaign to build a National Louisiana Blues Museum. Any reasonable examination of the facts proves Louisiana is its birthplace. Consequently, we deserve to have the finest of all blues museums, one that will attract tourists the world over. What is wrong with Louisiana when it comes to celebrating one of its greatest artistic achievements? In my travels, I have witnessed the financial investments others have made to appropriate our culture. Later this year, St. Louis will open a new, $14 million National Blues Museum. A $3 million Blues Hall of Fame will open soon in downtown Memphis, Tennessee. Good for them. I helped B.B. King raise millions of dollars for his B.B. King Museum in Mississippi — a state heavily invested in the blues as an international tourist attraction with great success. Furthermore, Mississippi is also building a $15 million dollar Grammy Museum. The Grammys did not originate in Mississippi, but the blues did begin in New Orleans, which is why our lack of effort is bewildering. Here in Louisiana, there hasn’t been as much as a whisper to reclaim our homegrown culture. It is beyond the scope of this writing to cite numerous documents, court records and facts to prove or disprove the origin of the blues. However, my extensive research will be published soon in a new book I’m writing. 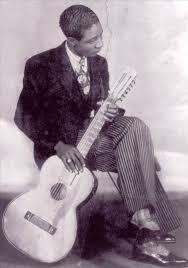 The Cliff notes summary is as follows: The blues began around 1895 in New Orleans with Buddy Bolden, Sidney Bechet, Jelly Roll Morton, King Oliver, Louis Armstrong and master guitarist Lonnie Johnson, to name only a few. It continued over the years with the likes of Leadbelly, Professor Longhair and Clifton Chenier. 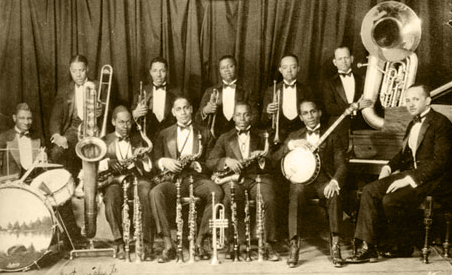 The blues began in black communities; however, the first phonograph blues record, “Livery Stable Blues,” was recorded by a white New Orleans band, the controversial, Original Dixieland Jass [sic] Band, in 1917. I believe the museum should be a “living” museum, one that features a hall for live performances. Live music is fundamental to the way we express ourselves. Live concerts would tell our ongoing story in real time, a role the original Tabby’s Blues Box, my dad’s famous ramshackle juke joint in Baton Rouge, once played before it was razed in 1999. Through music and dance, Tabby’s had helped to bring our fractured community from post-Civil Rights-era race riots to the door of America’s promise and Martin Luther King’s dream. However, despite its significant cultural impact, it was not allowed to enter the promise of the 21st Century. I’ve been approached many times by investors to open a new Tabby’s. Some of those propositions have been tempting. But I’ve concluded that the best way to continue the spirit of Tabby’s is through a nonprofit entity. Regardless of the location for this projected $15 million museum, I plan to raise awareness and support for my idea across the entire state, through speaking engagements, lectures and performances. It’s the main goal of the Chris Thomas King Foundation, with support by the Tipitina’s Foundation of New Orleans. We Louisiana artists should not be forced to acquiesce the role of sidekick in the folklore of museums in Mississippi, Tennessee or Missouri. We deserve to play the protagonist in our great American story — in our own National Louisiana Blues Museum. B. B. King, Baltimore Riots, and the Poetry of the Blues.